The United States government has exceeded its constitutional bounds, creating a “crushing” national debt and invading the role of states, according to a resolution that could soon be debated on the floor of the Utah Senate. The solution, the resolution suggests, is for Utah legislators to join with other “guardians of liberty” in invoking Article V of the U.S. Constitution, and convening to restrain the federal government’s abuses of power through state-led amendments. “I think that the time is right for Utah to join in and to call for that,” said Senate Majority Leader Evan Vickers, R-Cedar City, sponsor of SJR9. Vickers presented his resolution on Tuesday to members of the Senate Government Operations and Public Subdivisions Committee, which voted 5-2 along party lines to forward SJR to the full Senate. He said 12 states have so far issued such a call, with two-thirds required to formally convene a constitutional convention and with any proposed amendments requiring the ratification of three-fourths of state legislatures. The resolution is the latest of several attempts in recent years to get Utah to sign off on a constitutional convention. But it differs in that most previous iterations have been initiated in the Utah House, with one such resolution in 2017 passing in that chamber before falling short in the Senate. Bliss Tew, regional field director for the John Birch Society, spoke in opposition to the resolution. He said the nation has an “outlaw federal government,” but a convention of states to consider amendments would not solve problems. It would be better to enforce the current Constitution, Tew said, than to convene the states and amend it. “[Article V] isn’t to rein in the federal government,” Tew said. “It’s to correct errors in the Constitution." Gayle Ruzicka, president of the Utah Eagle Forum, also spoke in opposition to the resolution. 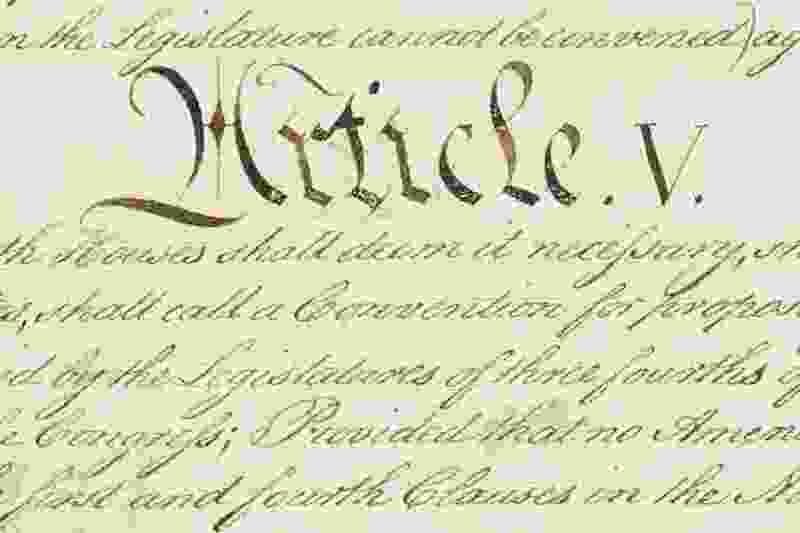 The U.S. Constitution is “divinely inspired,” she said, and a constitutional convention would open the document up to myriad changes along the political spectrum. “Please vote to save our Constitution and not have this kind of convention,” Ruzicka said. But committee chairman Sen. Daniel Thatcher, R-West Valley City, said he too believes that “ever line” of the U.S. Constitution is divinely inspired, including Article V. The federal government is not functioning as intended, Thatcher said, and could be motivated to improve if states demonstrated their willingness to step up and push back.